There has been a flurry of activity on the farm this week. 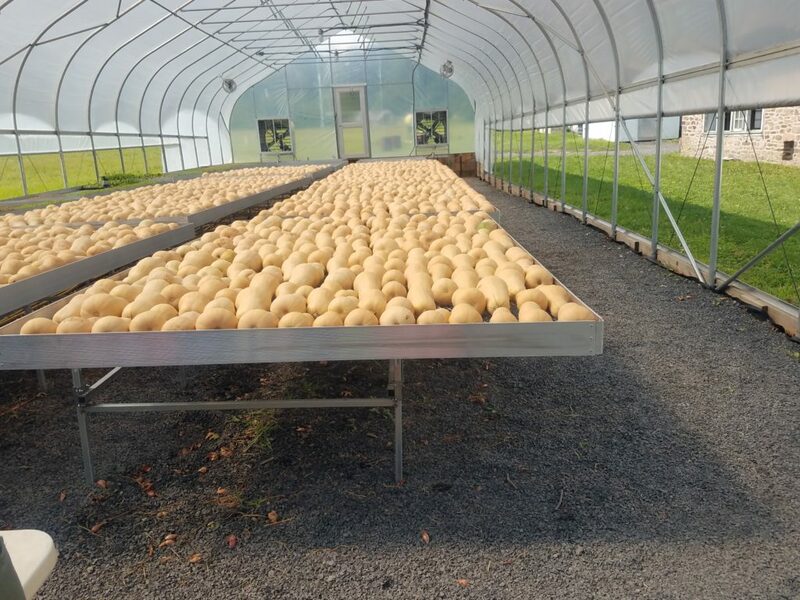 Our tomato harvest is starting to wind down, which gives us time to focus on harvesting our winter squash out of the field. We are preparing our vegetable fields for cover crops while staying on top of weeding our carrots. Hay is being made to feed our cattle this winter and we are establishing permanent pasture and cover crops for our grazing fields. We have had a one week window of dry weather which finally allows us to get into the field and get some work done! Farming is all about timing and adapting to the variables in weather. The CFF crew has come together to get done all the work needed at the farm. 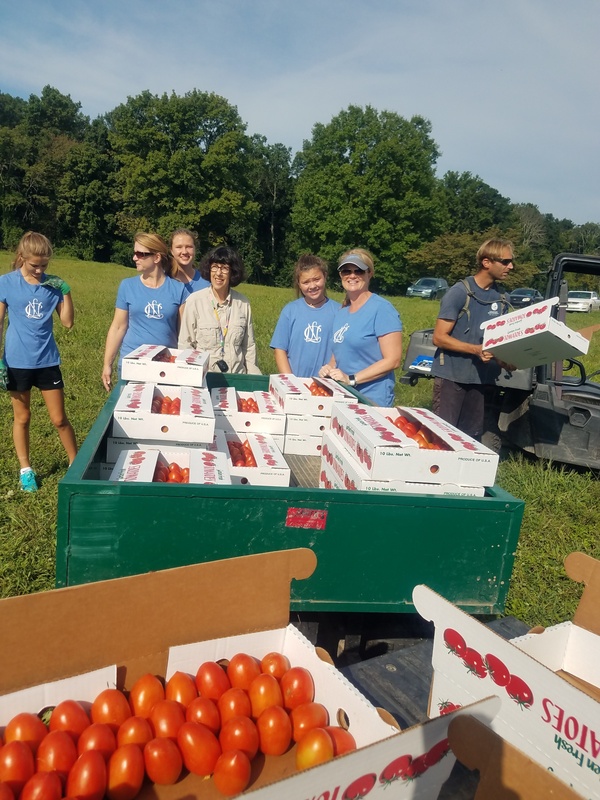 The burst of activity has been enjoyable because we are all working toward the same goal; caring for the soil, producing nutritious food and feeding those in need. We’ve Been Busy Getting over the Summer Slump! Just like many office workers who go through a summer slump — dreaming about vacation time during those hot summer days at a desk — our cool season forages do the same. As the weather begins to warm up in June, the cool season plants start slowing down their productivity. But the animals don’t take a vacation and our pasture-raised livestock still need plenty to eat. To get over the summer slump, we switch to warm season annuals. These plants enjoy the hot, dry weather and longer days. This month, the cattle finally switched to their warm season annual, a hybrid called sorghum x sudangrass. The cattle have been happy to follow the CFF livestock crew into their warm season paddocks. You can see them going to town on the sorghum x sudangrass in the short video below. We call them over with a “Coboss!”, which means a call to the cows. 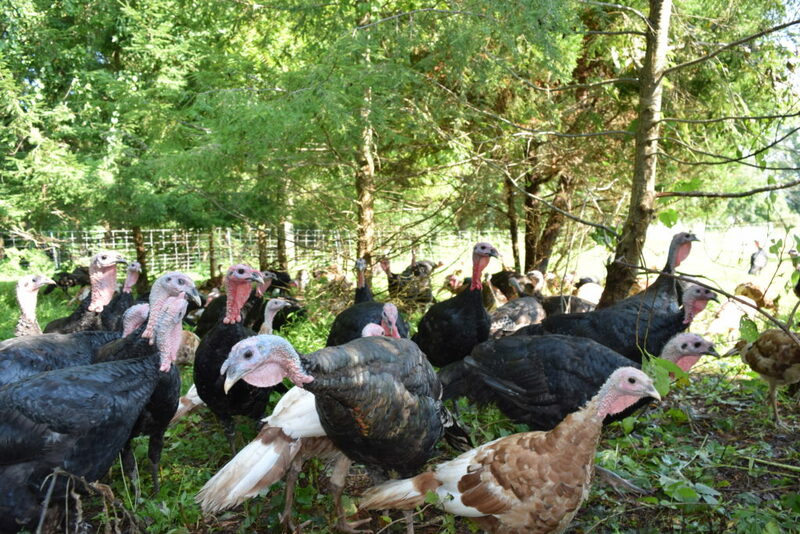 This year we have several Heritage types and the larger Broad Breasted turkeys available for purchase! Broad Breasted Turkeys ($6/lb), are a large breed and what you would see typically in the supermarket; lots of white meat like many of us know and love. They will weigh in between 16 and 21 pounds. The Heritage birds ($10/lb) are a little smaller, have more dark meat and will dress between 7 and 13 pounds. A $40 deposit is required to hold your turkey. 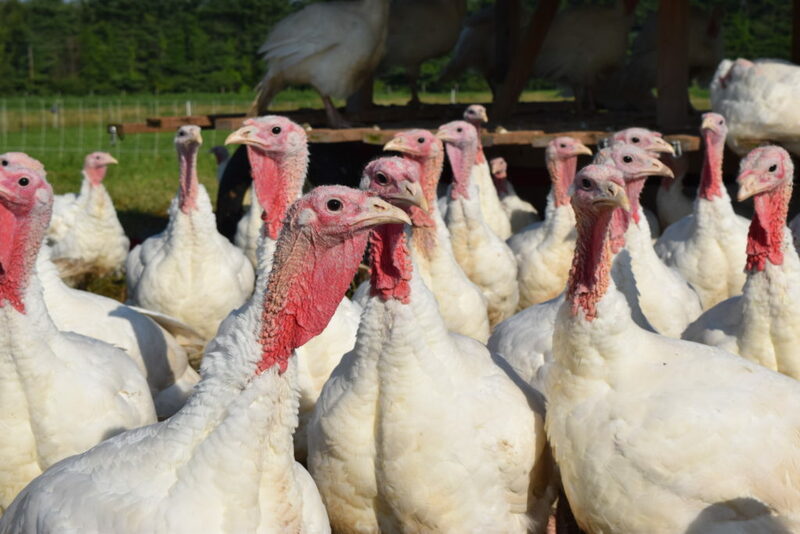 To reserve a turkey, please contact Stephanie at stephanie@carversvillefarm.org. WhEre’s the beef (and pork)? 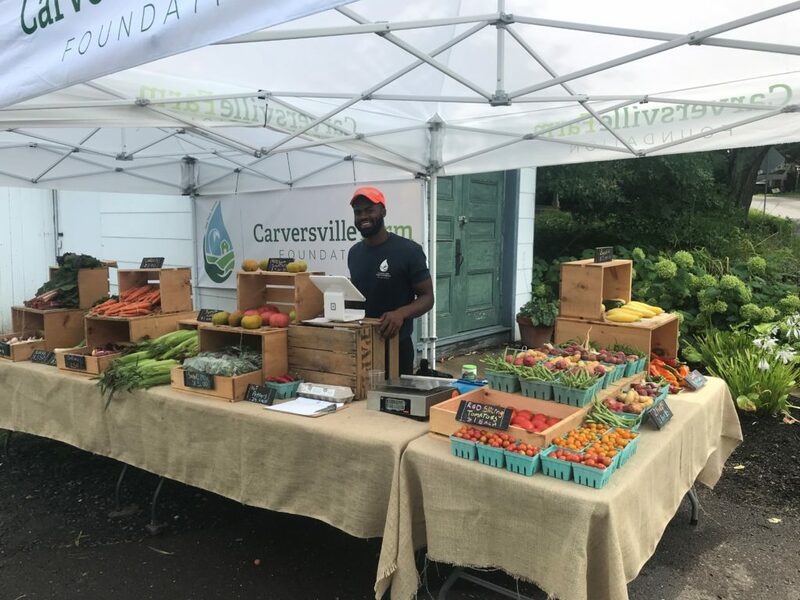 at max hansen’s carversville grocery store! 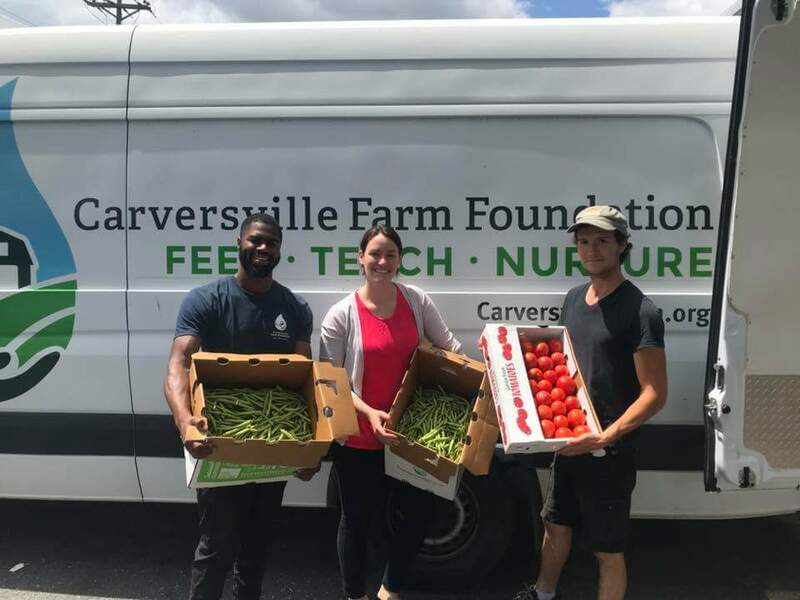 Carversville Farm now has a freezer of organic grass fed beef and pasture raised pork for sale at Max Hansen’s Carversville Grocery Store. Come stop by the store, grab some bacon or a steak and of course don’t forget our eggs! All of the proceeds from your purchase go directly to helping feed people in your own backyard. Warmer weather allows for more time to be out in our beautiful fields. Come join us every Wednesday and Saturday! In this heat, CFF T-shirts are a must! Sizes range from Small to X-Large. T-shirts are $17.50 and we accept cash, check, or credit card. 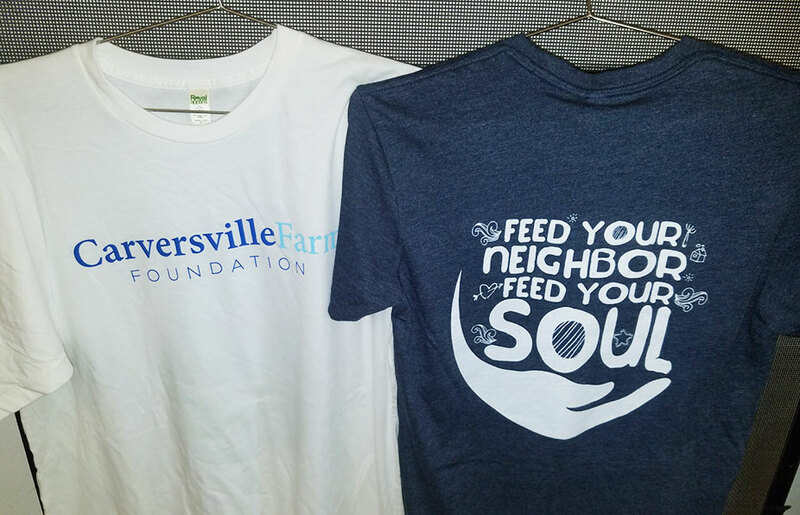 Merchandise can be purchased directly from the farm by contacting Stephanie at stephanie@carversvillefarm.org.